The ENIGMA consortium was established to investigate brain structure, function, and disease by combining genomic and neuroimaging datasets from multiple sites. Its goal is to maximize statistical power and the yield from existing datasets through very large data pooling efforts. This goal has added importance today in light of concerns over the rigor and reproducibility of many neuroimaging and genomic findings. Since its initial successes (a genome wide association study on subcortical volumes with over 26,000 participants, Stein et al., 2012 Nature Genetics), a number of working groups have been established which use the standardized multi-site ENIGMA preprocessing pipelines and analytic methods to study the neurobiology of specific diseases. 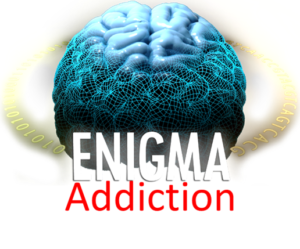 We created the ENIGMA Addiction working group which now has access to datasets representing over 14,000 participants and we continue to grow in size. Genomic and neuromaging analyses on this unprecedented collection of data will produce important new insights into the neural and genetic basis of addiction. Building on our initial proof of concept funding (R21DA038381) and our recently funded R01 (R01DA047119), we are expanding the Addiction working group. An increased, quality-controlled and curated dataset will enable us to identify robust brain markers of dependence for genetic association analyses, and to examine genetic and brain markers for the transition between stages of substance use across the lifespan. We are also increasing the range of brain measures examined to include structural and functional connectivity (DTI and resting-state data) and will develop morphometric analyses of brain structures. We can use these biomarkers to assess if brain alterations preceded dependence or arose during early or chronic use and if these effects correct with abstinence by exploiting the familial, developmental, longitudinal and abstinence samples in our working group. We are also creating a data analysis portal that will provide both wide access to the pooled data and optimized analytic methods that maximize rigor and reproducibility (e.g., appropriate covariates, nested variance models, propensity weighting for sociodemographics, cross-validation) thereby guiding others to use these data appropriately and wisely. The analysis portal will archive analyses (e.g., exact subjects and analysis scripts) to ensure best practice and full transparency. We will actively work to expand the consortium to create a uniquely large neuroimaging-genetic addiction dataset and we will make results freely available to the research community through the online interactive tool ENIGMA-Vis.